Robin Uthappa scored a rapid half century for KKR. Knight Riders' skipper, Gautam Gambhir, chose to field after winning the toss. His decision of going with the flow made sure that out of the 13 matches played so far, 12 have been won by teams batting second. After coming at the back of a win each, none of the team altered with the winning combination. Punjab scored a decent 41 runs in the powerplay but lost the important wicket of Manan Vohra in the process. Just when Murali Vijay and Shaun Marsh settled in the middle, Vijay was undone by a Piyush Chawla-special delivery. This was the start to the many Punjab wickets which fell over the course of 20 overs. Wriddhiman Saha was promoted up the order but he became a prey to Sunil Narine in the 11th over. In came the captain, David Miller. Considering the fact that two left-handed batsmen were at the crease, Gambhir made a smart move by introducing Yusuf Pathan into the attack. The right-arm off-spinner took the priced scalp of Miller on the first ball itself. KXIP lost half it's side in the 15th over when Glenn Maxwell hit a reverse sweep straight to Chawla. Shaun Marsh was the only hope left for them and he stood on the expectations by finishing on 56* after receiving deficient support from the lower order. The team sneaked to 138-8 in the allotted 20 overs. The new ball bowlers of KXIP had to come up with an uncanny spell in order to keep the in-form KKR batsmen within bounds. But all these things were only said than done. Robin Uthappa's counterblow made sure that Knight Riders scored a whopping 65 runs in the powerplay. He may have got out on 53 off 28 balls in the 9th over after missing a sweep against Sahu, but the chase was a walk in the park for KKR from thereon. They further lost Gambhir, Manish Pandey and Shakib Al Hasan but at no point of time did the chase looked burdensome for them. The fall of wickets proved a decent outing for both Yusuf Pathan and Suryakumar Yadav. They might not have scored runs in heap but the fact that they remained not out at the end of a chase would have given them ample confidence. KKR have ticked almost all the boxes after their comprehensive win. The way their bowlers in Morne Morkel, Umesh Yadav and Sunil Narine are bowling is a boon for them. On the other hand, Kings XI have a lot to think about. They have lost a batsman in David Miller while searching for a captain in him. Call it the pressure of captaincy or a poor run, the left-handed batsman will have to stand tall on his batting abilities. Not just the batting, Miller will also have to quickly learn the tricks of the trade in terms of captaining the side. Changing the captain in the middle of a tourney is never a good idea! Miller has been out of sorts in the tournament so far. Apart from the skipper, Glenn Maxwell's indifferent form has been a worry for the team management. The fact that they do not have able replacements for this duo, both of them will have to prove their worth before it's too late. Their main issue over the past two seasons lies in their batsman not scoring enough runs for their bowlers to defend. The team is not short on big names, it is just that the big names are short on big performances. Another tactical error that the team management might be committing is not including Gurkeerat Singh Mann into the playing eleven. 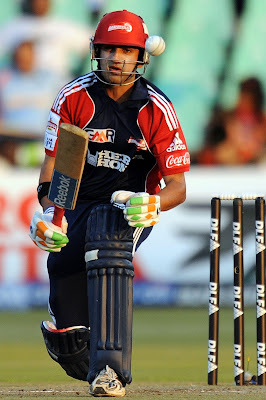 Mann has been a tried and tested face in domestic cricket with both the bat and ball. His batting will provide Kings XI will the missing firepower down the order. His off-spin can also prove handy for the team. Everything is still not lost for KXIP, if they can raise their game from hereon, they still have a chance to qualify for the play-offs. Another couple of defeats and things will start to look worse for them.